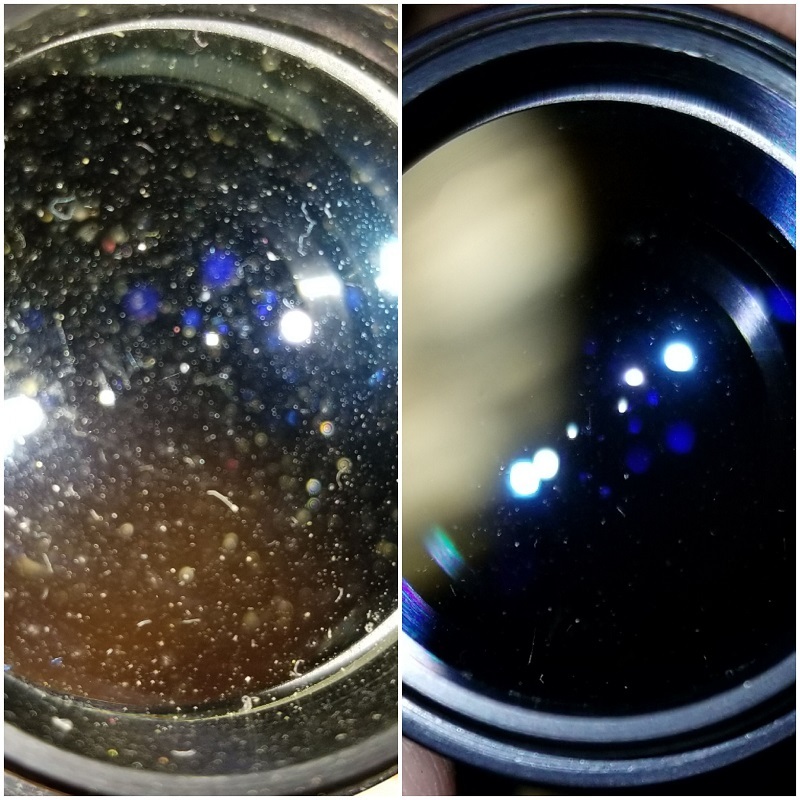 Anyone have any insight into disassembling Brandon eyepieces for cleaning? I have the 32, 16, and 8. 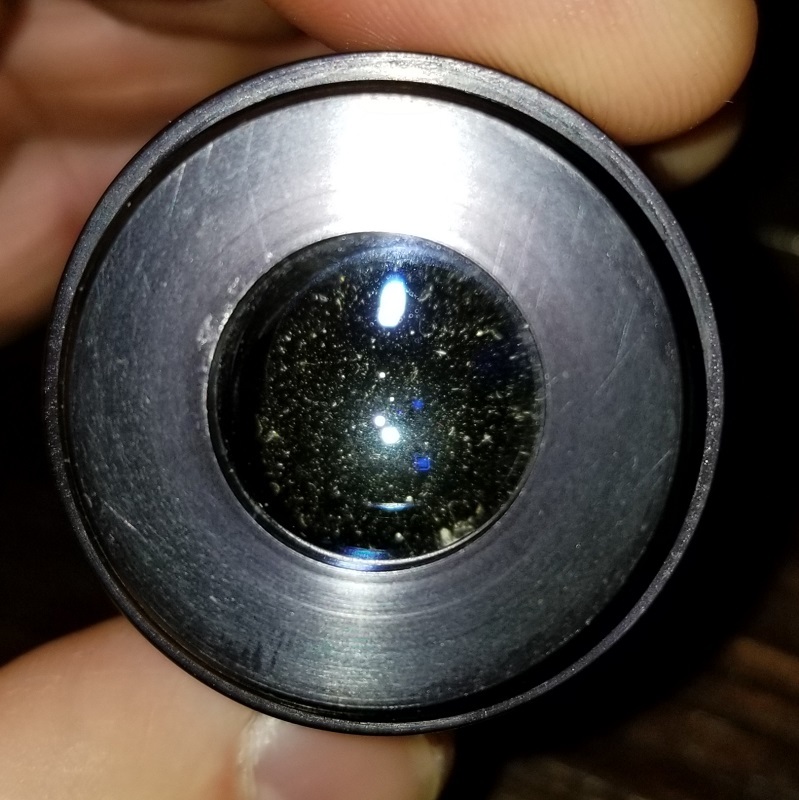 I was able to disassemble and clean the 32mm. However, maybe I am blind, but I cannot find the key to taking the 16 or 8mm apart. They are filthy, so it is pretty important in my opinion. There are cobwebs inside. I have searched for threads that include disassembly, but no luck. Edited by shredder1656, 07 November 2018 - 05:00 AM. I am not sure if these are classics or not. 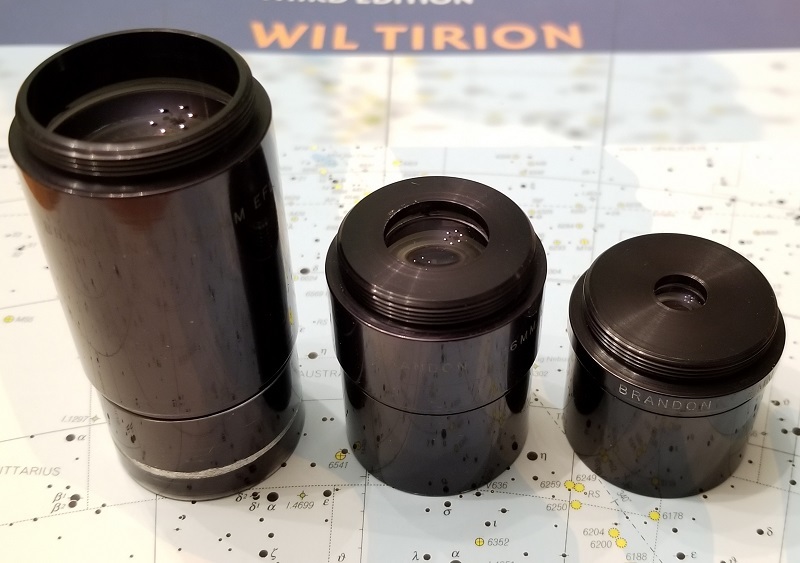 If these needs moved to the eyepieces forum, that would be fine. Apologies if this is not the appropriate place to start it. Thanks. If you don't mind paying for shipping, Vernonscope will take them apart and clean all surfaces for free. I second the motion of sending them to Vernonscope. Brandons are great eyepieces and they will make that glass look new again. They can also replace those rubber eyecups. Thanks to all of you. I thought that they charged $25/ep for that service. I already ordered the eyecups. They will be on their way shortly. I really am just trying to figure out the disassembly. But, especially if it's free, I will send them in. 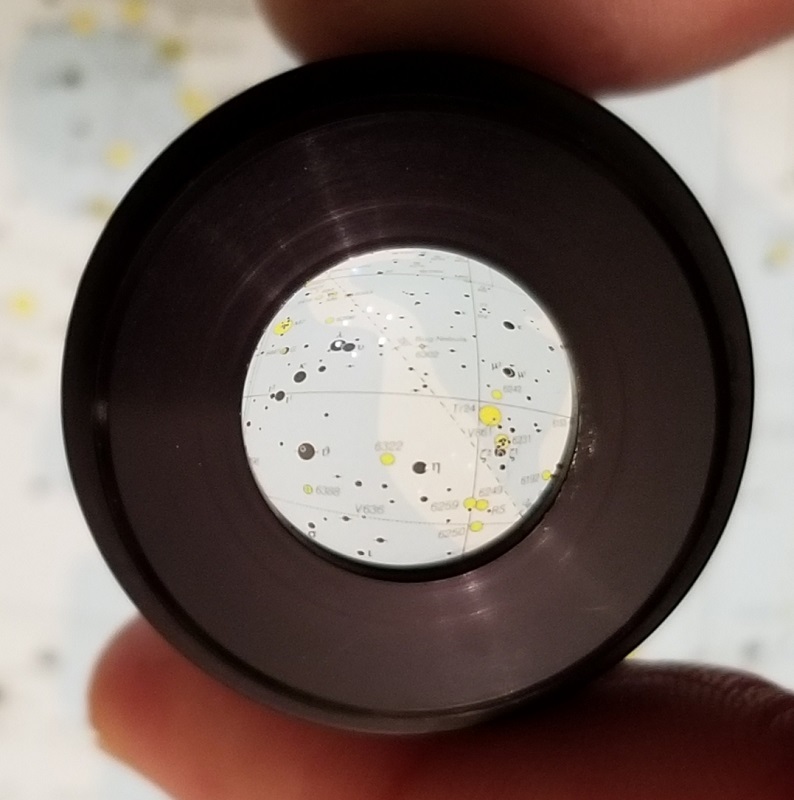 I cleaned the 32mm, and it turned out pretty well. I actually had some stars this morning, but relatively high winds, and poor seeing. Still popped it in for a quick peek. Very nice and high hopes ignited. Still wouldn't mind knowing how they come apart. Here's the 32. On the 8 and the 12 the retaining ring is on the bottom. 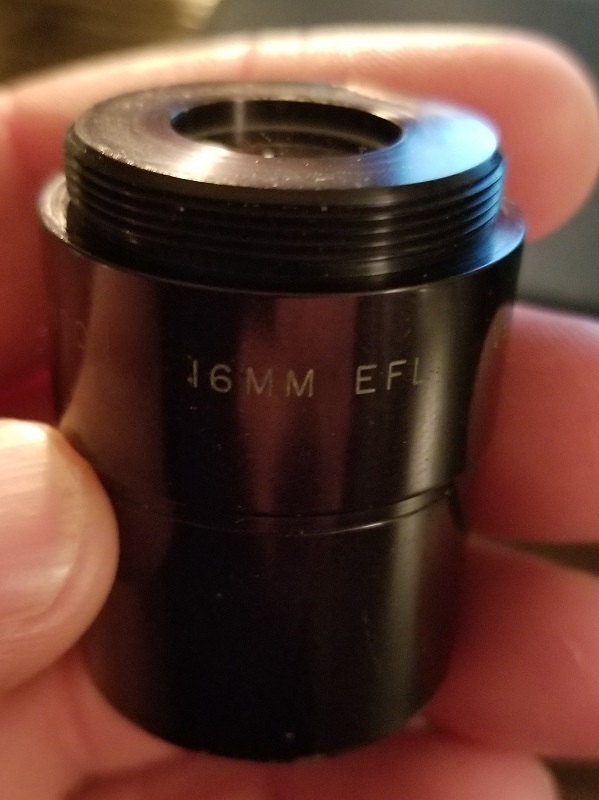 I had a 16mm and I'm pretty sure that one has a bottom mounted retaining ring as well. there is a spot of thread lock on the 8 and 12mm, you would want to soften that first. I use acetone on a small Q-tip. Not recommending anything, that's just what I do. My 24mm and 32mm have spanner type retaining rings. None of the other focal lengths have spanner retainers or thread lock that I can see. Edited by rolo, 07 November 2018 - 09:24 AM. That's the way my 8mm looks too. 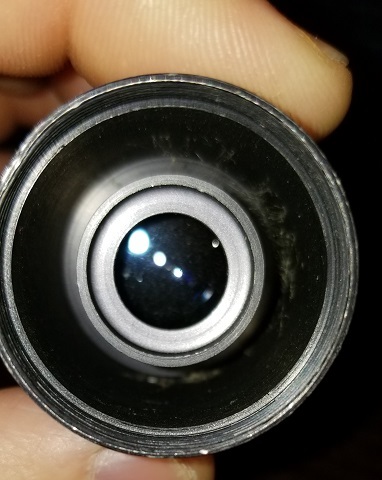 No retaining ring that I can see. Are they designed to prevent disassembly? Not sure, maybe there's a special tool for them. Edited by rolo, 07 November 2018 - 09:29 AM. Understood. At least I've established that there isn't something obvious that I've overlooked. I will reach out to Vernonscope to send these two in for their expertise. Edited by shredder1656, 07 November 2018 - 12:53 PM. That is a good idea. I did take apart the 8mm ( it was really dirty) and made a soft cover for the pliers to remove the cap. It wasn't hard, just a bit tricky. It was a good few years ago so my memory was a bit funky. 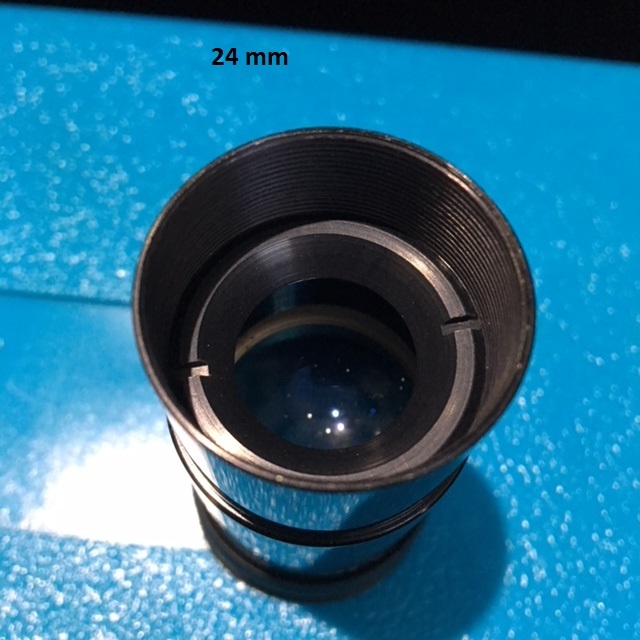 You remove it from the bottom and the lenses are stacked in the little cup that screws into the main eyepiece barrel. There was no thread locker, I was thinking of another EP. A bit tricky, so maybe better to have the experts clean them if you have reservations. Yes, after I posted last I decided I might give removing the inner barrel a shot. I am half way through coating some needle-nosed pliers with some Flex-seal. Two coats so far. I have a feeling it will be a waste of time. What I need, to increase my chances, is a pair of needle-nosed with the "auto-adjust" jaws. However, I can't find pliers like that with the needle-nose. Patience, of which I'm typically in short supply, I think is the key. If the rubber-coated needle nose doesn't work, I will have to send them in. So I guess you decided to forge ahead on your own? Proceed with caution. If the top pops off and the guts spill out over the table, good luck getting all the elements back together in proper order and plane. I’d still send it back to Vernonscope. They have a lifetime guarantee that includes free cleaning but I don’t know if that includes owner-inflicted damage. If you keep the EP upright and unscrew the cup the lenses will be in the little cup. Do it upside down an they will fall out into the EP barrel. that's the way my 8mm was. I wouldn't say I am "forging" ahead, but I did decide to dip my toe in the water. I have the rubber coated needlenosed pliers squared away. I should know within a second or two if it is going to work at all. Not going to push it. LOL. Sorry I mislead you. I only meant that I would know within seconds whether it would work, not that I would be back within seconds to report. Anyway, I will post a pic later, but it did work. The rubberized needlenosed pliers did the trick. The cup was not tight at all, and I probably could have removed it with my fingers, if my fingers could have fit inside the tiny barrel. The elements cleaned up well. I tried to use them a bit tonight. Seeing was bad, very twinkly, and it is 23*. Not terribly cold, but it made it complicated. 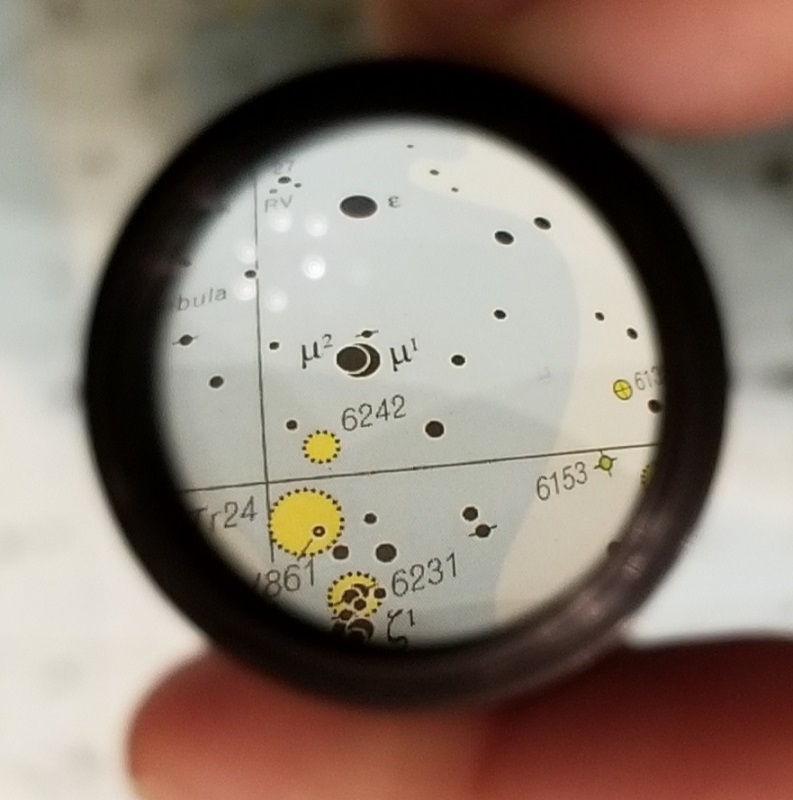 Numb fingers and little eyepieces are not a good mix. So, no real solid impression or conclusion. I think I needed more time for the scope to cool down. It is cold on our front porch, but I am guessing there is around 20+ degrees difference between where the scope is stored and the outdoors tonight. I assume that the combination of the seeing conditions and insufficiently cooled scope were factors. However, the views of Mars and Pleiades were not breathtaking. The eps came apart and went back together very smoothly and simply. So, it is not impossible for me to have messed something up, I suppose, but I am leaning towards the conditions for tonight. I will give it another go as soon as time permits and the weather cooperates. They definitely look much better. Thank you for clarifying how the eps were supposed to come apart. Much better now. Just hope assembly is as simple as it seemed. Nice. Were there any difficulties once you were able to get to the lenses? What did you use as a cleaner? No other trouble. The 2+2 design was simple enough, I think. I used alcohol, makeup pads, and good puffs of dry air across the elements before that. One touch with the alcohol saturated makeup pad, and then it was tossed. Finished with a "drying" caress with a pure white Kleenex, and another puff of the air bulb. Edited by shredder1656, 11 November 2018 - 09:35 AM. We had a high veil of thin cirrus ice clouds overhead around 10 x 11 PM last night. I suspect it was up your way as well. That significantly impaired seeing here. Thanks. That was right around the time that I attempted to give them a whirl. I knew it was not good, since everything was sparkly, but I was hoping that was the only reason I was having a bit of trouble getting stars resolved to points. I was pretty sure it was a combo of the seeing and the scope not having sufficient time to cool. Not sure that daytime views are perfectly reliable predictors of nighttime performance. It is bright and sunny today, though. My neighbor has a grain elevator with a red and white "Honeyville" sign at the top, and I can set up in our family room and view through our sliding door. No worries about a freezing and dripping nose leaking onto the ep, lol. The 8mm Brandon seemed to be very slightly brighter and have slightly better contrast than my 7mm Meade RG Or. 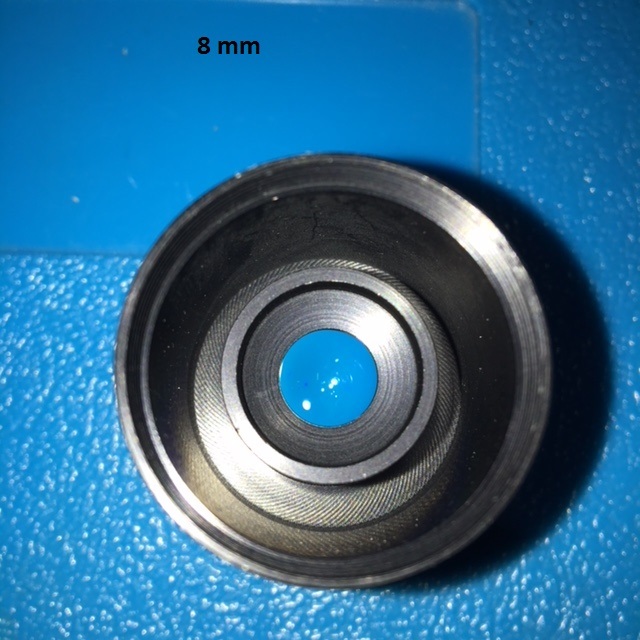 Maybe the 1mm difference in length lets in enough light to make that difference, but even so, the 8mm looks like it will be good. All three looked very nice and sharp, so I am hopeful that a night of good or fair seeing will prove that dirt was their only issue. I have to say thanks again, to all of the members on this forum. Not only for the input the contributors to this thread have given, but for all that has been given over the last year or so. 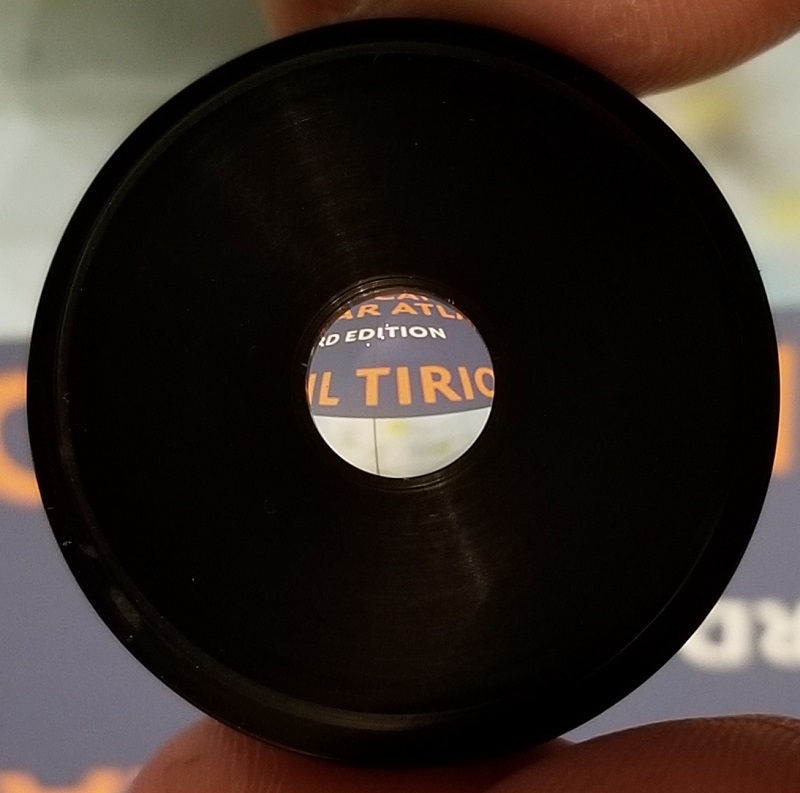 I have mostly learned how much I have to learn, but would not have even come close to being able to do something as simple as successfully clean these eps without the cumulative knowledge and generosity of the folks here. So, THANKS, again.